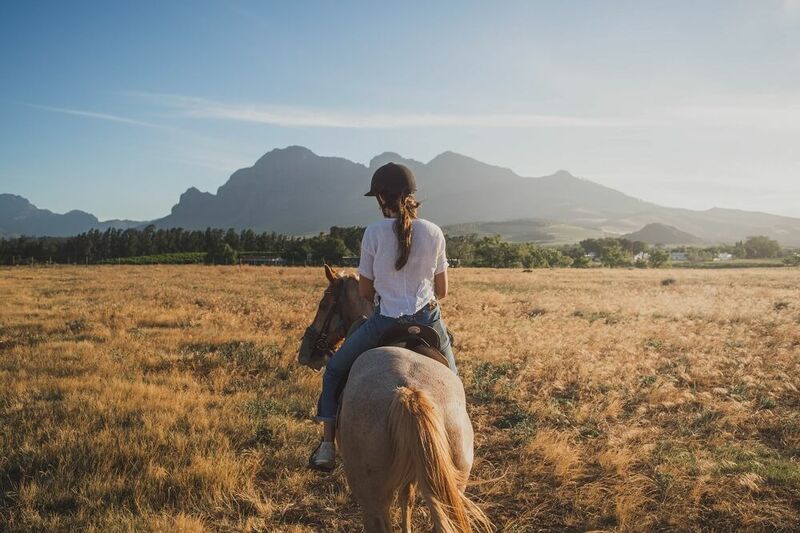 In this article, we discuss the things you should keep in mind when considering trail riding, endurance riding or just going for a long ride. 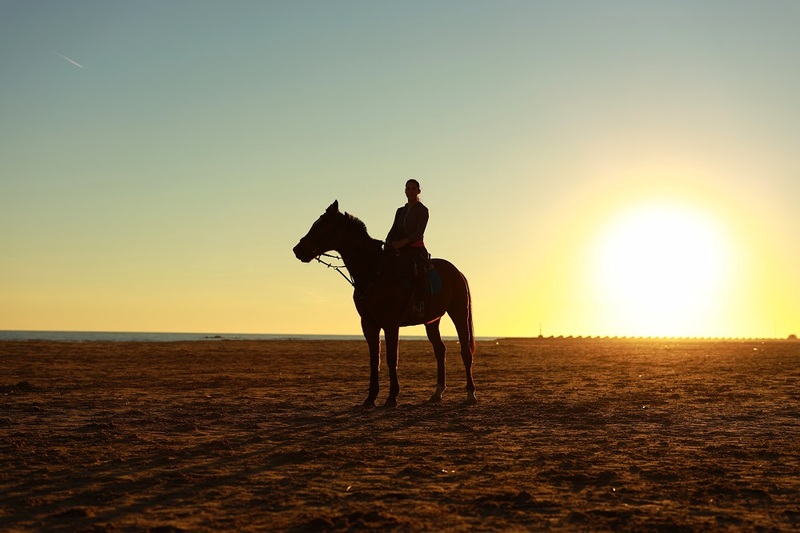 Read on to learn more on how far can a horse travel in a day. 1 How Fast Do You Want To Go? 2 How Is The Trail? 4 How Often Are You Recharging? 5 How Fit Are You And Your Horse? 6 What Kind Of Horse Do You Have? 8 How Fit Are Your Companions? Naturally, the pace you set has a lot to do with how far your horse can go in a day. Typically, a horse can walk about 4 miles an hour. Trotting usually covers 8 to 12 miles an hour. At the canter, a horse can go 12 to 15 miles an hour. A galloping horse may go as fast as 25 or 30 miles an hour. If you’re going along distance, naturally you will not go the same speed the entire way. Even at a walk, this would be tiresome for both you and your horse. Generally speaking, a horse could be comfortable walking for about eight hours. This means that in an eight hour day, he could cover 32 miles at the walk. The terrain and the footing are very important considerations in determining how far your horse could go in a day. If the weather’s been muddy, this will naturally slow you down and it will be harder on your horse. Traveling over sandy ground is also stressful to your horse’s ligaments and tendons. If you have to go up or down steep hills, you and your horse will both become much more tired. 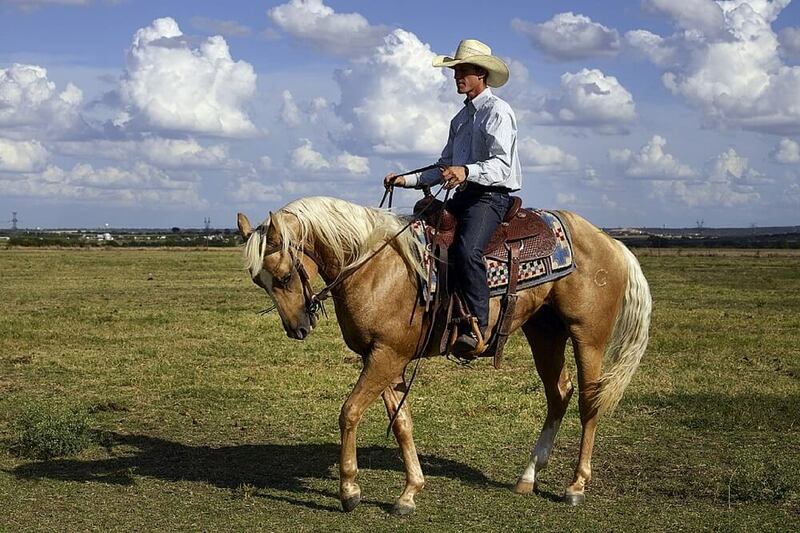 Additionally, having to struggle up and down hill is hard on your horse’s cardiovascular system. In hard and rocky terrain, your horse may suffer impact injuries to his joints and hooves. This will also be transferred to you in the saddle. It’s important to avoid going over hard, rocky areas is much as you can. The weather is another very important consideration. On a long ride, your horse may lose a lot of hydration and electrolytes through sweat. Just like people, horses who become electrolyte depleted or dehydrated can suffer heatstroke and other serious health consequences. If it’s very hot and humid, you must stop frequently. Allow your horse to drink water freely throughout your ride. In very hot, humid weather you must also add electrolytes. This can be as easy as adding electrolyte supplement to the water or even lacing your horse’s water with Gatorade. If it’s hot and windy and the humidity is low, your horse may sweat a great deal, but the sweat may evaporate very fast. This may lead you to believe that your horse is not losing a lot of hydration, but this would be a big mistake. How Often Are You Recharging? Naturally in hot dry weather you should make sure your horse has plenty to drink and is taking in enough electrolytes along the way. This goes for you too! Anytime you go on a long ride you should make frequent stops to allow your horse to graze a little bit and get a drink of water. If your horse ever loses his appetite or refuses to drink, you should be concerned. Loss of appetite or lack of normal thirst are signs that your horse is becoming exhausted or worse. You should definitely stop riding if your horse does not want to eat or drink. How Fit Are You And Your Horse? If you and your horse only have the chance to ride occasionally, you will naturally not be comfortable going eight hours at a stretch. Your horse will become too tired, and you will be very sore. 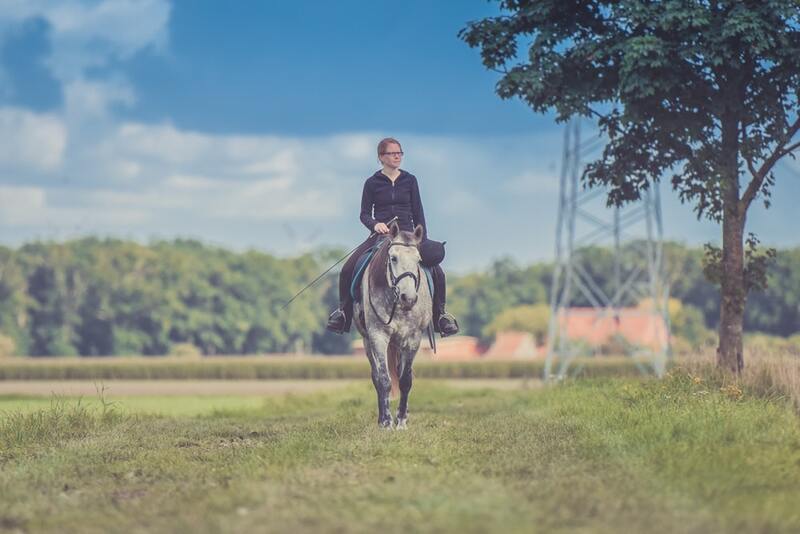 On the other hand, if you work with your horse regularly and you are both quite fit, you may be able to cover quite a bit of distance in a day. This is especially true if you alternate walking, trotting and cantering. 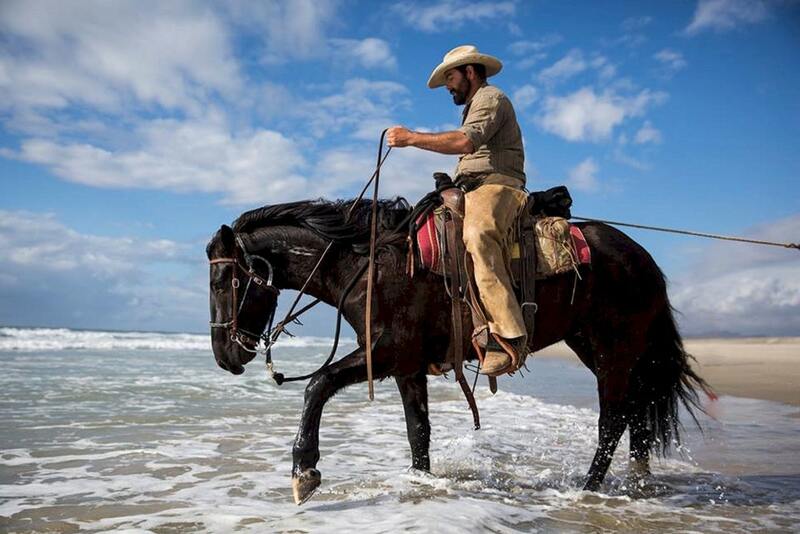 The amount of training you and your horse undergo is the main determinant as to how far you can go on a day. Don’t set out on a horse that is in poor condition to try to make a long ride. This simply won’t work. If you aspire to do long trail rides, you must keep yourself and your horse and training to become physically fit and build up your endurance. When going along trail ride, your relationship based horsemanship is more important than in any other setting. You must be completely in tune with your horse to know when he is becoming tired. Don’t allow your horse to overexert. Tired horses may be more accident-prone, and this is dangerous to both you and your horse. Note that all the horse’s in this video are tall, slim and athletic. Furthermore, they appear to be of Arabian heritage. Arabians are well known for being able to cover long distances under adverse conditions. Tall, slim horses like the ones in this video will naturally cover more ground more quickly than shorter, stockier types. On the other hand, stocky quarter horses, sturdy ponies, mules and even donkeys may end up having more endurance. If your tack doesn’t fit correctly, it can negatively impact your horse’s performance. It can also hamper your own comfort and endurance and may even cause injury to your horse. Be sure that your saddle and bridle are properly fitted and in good condition before setting out on a long ride. The condition of your horse’s hooves is very important to take into consideration. Your horse should see a farrier every couple of months for a trim and an examination. If you’re going to do trail riding, it’s a good idea to invest in some well fitted horse boots to help protect the soles of your horse’s feet as well as the hard, hoof walls. How Fit Are Your Companions? If you’re riding in a group, everyone should go at a pace that will suit the horse that is the least fit. Even if you have an older horse who seems willing to keep up with the youngsters, you should slow them down to keep pace with your horse. This may limit the amount of ground you can cover in a day, but it will help prevent injuries. Older horses often strive to keep up, but this may not be in their best interest. An older horse who overdoes it one day may come up lame the next day. Don’t be excessively competitive on trail rides. 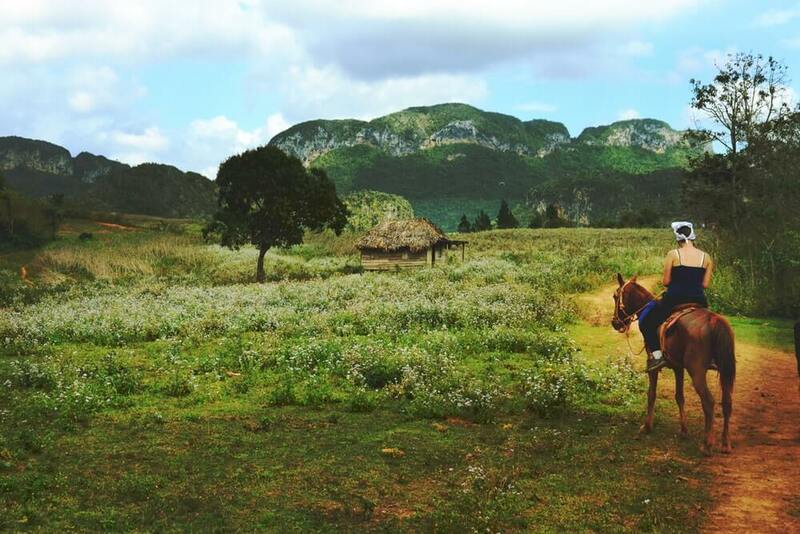 Relax and enjoy the day and the scenery and the company of your horse and the other riders.